National Girlfriends Networking Day is a nationwide celebration of the power of building connections. 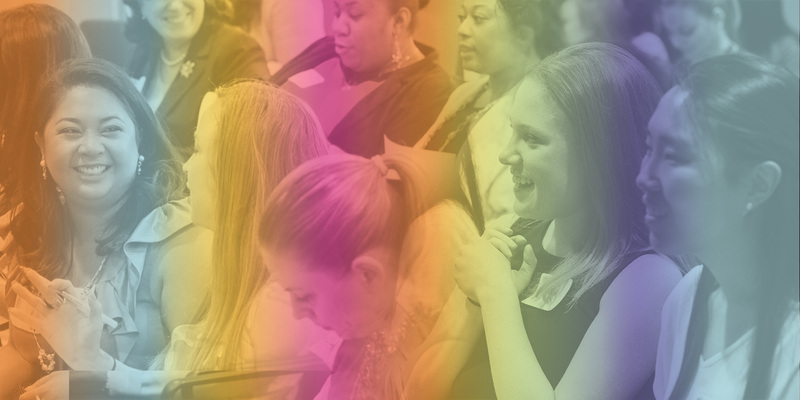 Join thousands of women around the country by attending this interactive networking event. From 12:00–1:00 p.m., there was a live stream of a panel of renowned, diverse women leaders discussing their career paths. Attendees had the opportunity to ask questions via social media. The panel is organized and presented annually by The New Agenda. A networking session followed the panel. 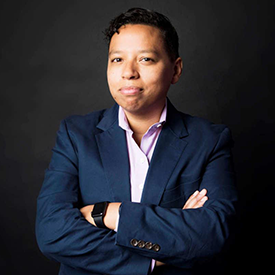 Lydia Polgreen is Editor in Chief of the Huffington Post. She was named to that post in December 2016 after spending nearly 15 years at the New York Times, where she led an initiative to expand its audience outside the United States, with an initial focus on Latin America. Previously, Lydia was Deputy International Editor, the South Africa bureau chief, a correspondent for the New Delhi bureau and chief of the West Africa bureau. Before joining The Times, Lydia was a reporter in Florida and New York state. She began her career as assistant editor and business manager for The Washington (D.C.) Monthly. Lydia was a 2006 recipient of the George Polk Award for foreign reporting, in recognition of her travels deep into the war-torn western regions of Sudan to report on the carnage in Darfur. She received the 2008 Livingston Award for international reporting, for her series “The Spoils,” an account of how mineral wealth has brought misery and exploitation to much of Africa. In 2007, she was named a Young Global Leader by the World Economic Forum. When Aida Rodriguez was a teenager one of her relatives declared that she would end up a statistic, she did: she is 1 out of the 10 to make it to the finals of NBC’s Last Comic Standing. Aida Rodriguez’s “edgy, raw and in your face” style of comedy has set her apart in a world that celebrates funny over double standards. Catching the eye of some of the most recognizable names in comedy, she is creating a lane of her own. Roseanne Barr doesn’t understand why Aida doesn’t have her own show yet and Keenan Ivory Wayans told the world that she is “like a dose of truth serum”. As a single mom of two, Aida has honed and nurtured her craft all while juggling the daily grind and stresses of family and career. While providing endless material, family remains the heart of the Aida Rodriguez experience. “Suddenly, the pages of my journal have become a laughing matter!” Aida is a regular on some of the nation’s most iconic comedy stages. She has also hosted and/or been featured on numerous television and radio broadcast programs including but not limited to, Comedy Central’s The Nightly Show, two-time host of the PBS’s Imagen Awards, Fox’s Laughs, Nickelodeon’s Mom’s Night Out, Parental Discretion, as well as NuVo’s Stand Up and Deliver seasons 1 and 2 and The Wedding Zinger. Aida recently was featured in Robert DeNiro’s latest film The Comedian, released in February of 2017, after being handpicked by director Taylor Hackford and will appeared on Showtime this past fall as the Shaq’s All Star Comedy Jam’s first Latina. When she’s not on your television or a local stage, you can catch Aida following another childhood dream of becoming Bob Hope, Aida serves yearly on USO and MWR tours; making her an international performer. 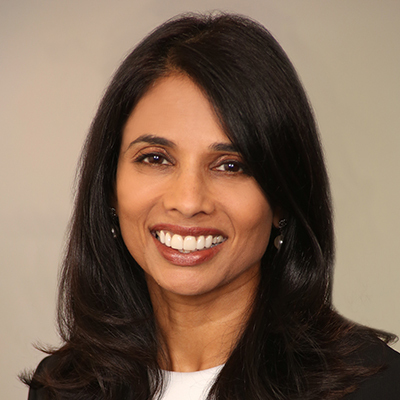 Shruti Shah is a Partner at KPMG, based out of New York. She assists multinational companies in designing and implementing governance, risk, and compliance programs through various corporate transformation initiatives to improve performance and reduce risk and compliance exposures. Her clients include some of the top PE firms and Asset Management firms in the US. She started her career in tax over 20 years ago—and decided to reinvent herself after leaving the workplace to start a new career in consulting which offered many new opportunities as well as challenges. Shruti is a frequent speaker at various conferences and events which not only focus on the advancement of women but also in the advancement of women in private equity. She is the author of two thought leadership articles published in 2017 and 2015: Safeguarding Private Equity Firms and Internal Audit Hot Topics for Private Equity. Over the years, Shruti has volunteered her time for causes such as domestic violence, breast cancer awareness, and diabetes. She currently is a board member of the YWCA of Union County, which is a New Jersey-based domestic violence organization. Shruti currently resides in Basking Ridge, New Jersey with her husband and 3 children. Rumana Ahmed joined the Obama White House in 2011 where she served for over 5.5 years. Her most recent role was as the Senior Advisor to the Deputy National Security Advisor in the National Security Council where she worked on efforts to normalize US-Cuba relations, advance relations in Laos, promote global entrepreneurship among women and youth, and advise the President’s engagements with American Muslims. She organized President Obama’s visit to a mosque and engagements with Cuban Americans around his historic trip to Cuba in 2016, and gathered emerging entrepreneurs from around the world and Shark Tank at the White House in 2015. 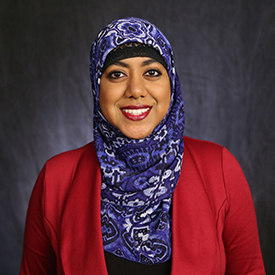 Prior to her position at the NSC, she was the interim liaison to American Muslim communities and led the Champions of Change initiative through which she worked across communities on domestic issues such as health care enrollment and gun violence prevention in the White House’s Office of Public Engagement. Rumana speaks to emerging young and women leaders on overcoming challenges of discrimination, developing leadership skills, engaging government and building community level partnerships. Rumana is a native of Maryland. She received her B.A. (2011) in International Affairs with concentrations in International Development and Economic Development at The George Washington University. She is the author of a recent publication in The Atlantic (“I was a Muslim in Trump’s White House”) that was shared globally and sheds light on some of her experiences at the White House.